Terrorism: What is the Truth? Utopia for Realists and How We Can Get There. By Rutger Bregman. Bloomsbury. 2017. £16.99. Rutger Bregman Is a Dutch advocate (the book is translated from Dutch) of a universal, unconditional basic income as a payment from the state to all citizens as of right and of an amount at least equal to the poverty line. A large part of the book, however, is devoted to advocating an unconditional basic income for the poor only, i.e. not a universal one (and not entirely an unconditional one since you have to be poor to get it). In other words, a proposal to merely reform the so-called Welfare State. At present, the state already gives the poor 'free money' but conditional, besides means -testing, on being sufficiently unfit for work or seemingly actively seeking work, as the case may be. Bregman’s case against this is that it would be cheaper to make such payments unconditional as this would avoid the administrative work involved in checking entitlement and organising bogus courses for the unemployed; that 'free is cheaper' if you like. A number of pilot schemes are being carried out, as in Finland and Canada, to see if this is true. Bregman lists some previous ones which he says have shown that it is. What he really wants, though, is an unconditional, non-means-tested, payment to everyone. His case for this has certain similarities with the case for socialism: that we are living in an age of potential abundance (he writes of a 'Land of Plenty') but that this abundance is not used to directly improve people’s life but is wasted on such non-wealth-producing activities as investment banking, advertising and legal services (since he doesn’t envisage the disappearance of money his list is shorter than ours). The resources exist, he points out, to eliminate poverty, improve education and health care, and provide a comfortable retirement for all. For him, it’s the introduction of a universal unconditional basic income that will enable this. In any event, he does want people to work less as he also advocates a 15-hour week. This, he says, should be enough to provide an adequate plenty for all. The resources for this would come from increased automation, the end of the consumerist mentality, and from what is currently wasted in wealth-shifting rather than wealth-creating activities. Bregman includes the word 'utopia' in the title but is it a realistic one? Since he doesn’t object to the market mechanism or even to profit-making his scheme is to be introduced within capitalism. This is not realistic. One of the objections to such schemes, and which socialists share, is summed up in one word: Speenhamland. That a universal UBI would be a subsidy to employers is in fact a major socialist objection to it which Bregman is unable to counter. Indeed, in the Swiss referendum on the matter in June last year, the advocates of a UBI openly stated that everybody’s wages would and should be reduced by the amount of 'free money' from the state. The other socialist objection is that ignores the economic imperative of capitalism, enforced through competition, to accumulate more and more capital out of profits, and so profits must come first before meeting the consumption needs of the population. Catering for these is kept to the minimum to maintain productive efficiency or, in the case of 'free money' payments to the poor, to the minimum needed to avoid bread riots. Bregman shares the illusion common to many would-be reformers of capitalism that production under capitalism can be made to give priority to people’s consumption instead of to profits. It can’t, as the failure of numerous reformist government that have set out to do this is testimony. Policies have failed to significantly reduce inequality between rich and poor despite two decades of interventions by successive governments, according to a highly critical new report by the government’s Social Mobility Commission. The study warns that the social and economic divisions in British society will widen even further, threatening community cohesion and economic prosperity. And it highlights new divides that have opened up in the UK, further fragmenting society – geographically, and between income groups and different generations. Alan Milburn, chair of the commission, said that for two decades Labour and Conservative governments had not made enough progress in turning welcome political sentiments into positive social outcomes. “What is so striking about this new analysis is how divided we have become as a nation,” he said. “A new geographical divide has opened up, a new income divide has opened up and a new generational divide has opened up.” He continued, "The public mood is sour, sometimes angry," he said. "Whole tracts of Britain feel left behind. Whole communities feel the benefits of globalisation have passed them by. Whole sections of society feel they are not getting a fair chance to succeed. The growing sense that we have become an us-and-them society is deeply corrosive of our cohesion as a nation." Child poverty has risen in the aftermath of the recession, with about 4 million – or 30% – of young people now classified as poor. The divide between the attainment of rich and poor children at the age of five has only just begun to shrink despite billions of pounds of investment, and in early years education and it will take 40 years before it is closed. It will take 120 years before disadvantaged teenagers are as likely as their better-off counterparts to get equivalent qualifications. Graduate employment for disadvantaged students has “barely improved”, though widening access to university is a seen as a success for social mobility policies. In higher education, it will take about 80 years before the participation gap between students from rich and poor areas closes. Wages have stagnated in real terms – particularly among the young – with the poorest most affected by the resulting falling living standards. And, despite slow progress, the best-paid jobs remain “deeply elitist”. One-in-five people are struck on low pay, a consistently higher proportion than in similar nations. The report, Time for Change, assesses government policies on social mobility from 1997 to 2017, covering the governments of Labour’s Tony Blair and Gordon Brown, as well as David Cameron and Theresa May for the Conservatives. Kevin Watkins, chief executive of Save the Children, said: “It’s nothing short of a scandal that in this day and age, so many of our children are falling behind in their learning from the start and left to stay behind throughout their lives." 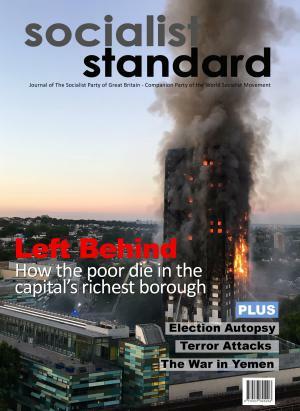 Grenfell - A lesson learned too late? No! Following the Grenfell Tower, 60 high-rise buildings in 25 local authorities in England have failed fire safety tests so far. But no local authority or housing association tower blocks in Scotland have been found to use the same kind of cladding. In Scotland, a change to building regulations in 2005 made it mandatory for builders to ensure that any external cladding "inhibited" fire spreading. The new regulations were introduced following a fatal fire in a Scottish tower block in 1999. The Building (Scotland) Act 2003 introduced the Building (Scotland) Regulations 2004 which came into force on 1 May 2005. It contains the mandatory regulation: "Every building must be designed and constructed in such a way that in the event of an outbreak of fire within the building, or from an external source, the spread of fire on the external walls of the building is inhibited." 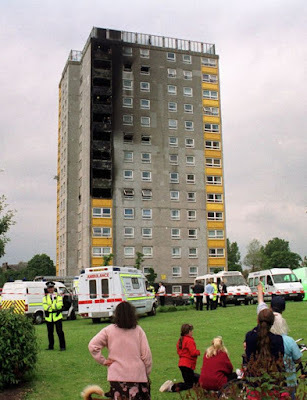 On Friday 11 June 1999, a fire swept through a 14-storey block of flats in North Ayrshire. The blaze started at about 12:45 and ended up destroying flats on nine floors of the Garnock Court block in Irvine. A 55-year-old man died in the fire and five other people, including a 15-month-old child, were injured. Witnesses reported that a vertical ribbon of cladding on one corner of the block was quickly ablaze and the fire reached the 12th floor within 10 minutes of it starting. The flats were owned by North Ayrshire Council, who ordered the removal of plastic cladding and PVC window frames as a precaution "at whatever cost" so they could be replaced with safer materials. The chief executive here [North Ayrshire Council] and also the MSPs by that time were in a position to, and did, enforce change in Scotland. Which is why no properties in Scotland that have been identified as being failures in that respect. The then local MP, Brian Donohoe pushed for a parliamentary inquiry into the extent of the problem. The review - by the select committee on environment, transport and regional affairs - was set up quickly and reported back in January 2000. Committee members recommended that local authorities and registered social landlords reviewed their existing building stock and the cladding systems used. MPs also said they wanted to make it clear that any addition to the outside of a building which had the "potential to lessen its resistance to external fire spread" should be subject to building regulations. Donohoe added that a series of UK governments had been "remiss in their responsibilities and their duties" to people who lived in high-rise properties in England. "The problem was indentified but nothing was being done. It's really a disaster that has been created as a consequence of inaction of all government." 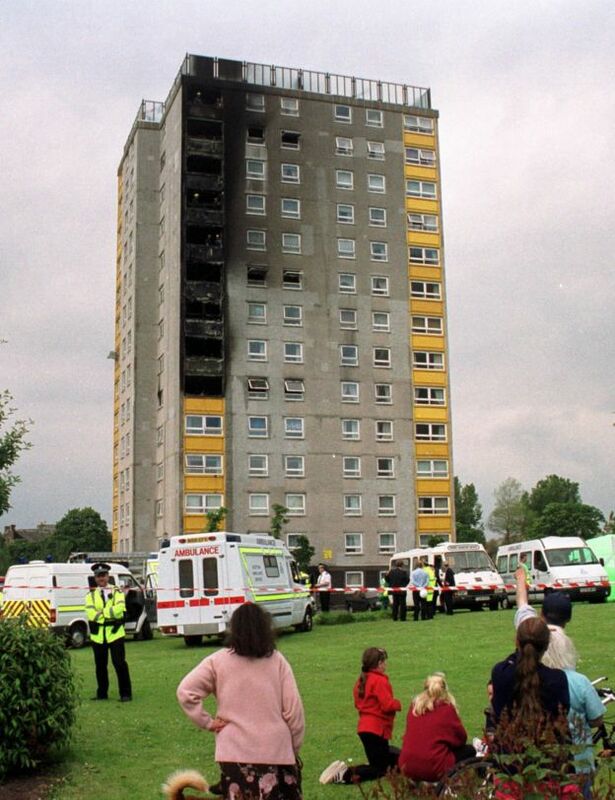 In the Scottish Parliament, Communities Secretary Angela Constance also cited the Irvine fire directly as the reason why cladding used on high-rise buildings in Scotland must use materials and design which resist the spread of fire. 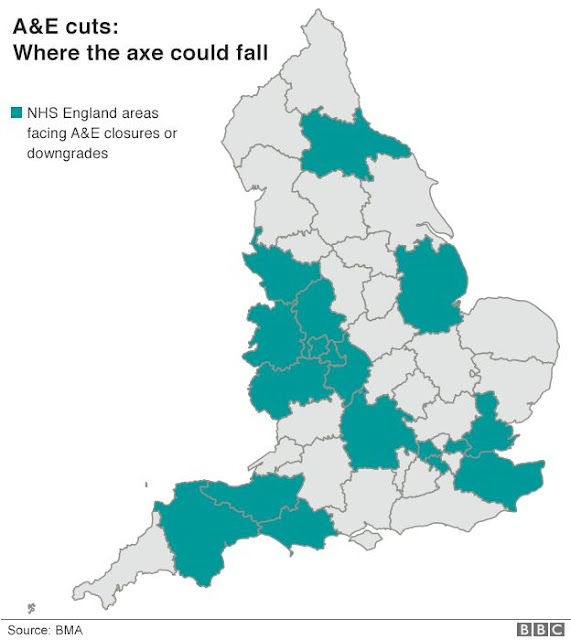 Nearly 23 million people in England - more than 40% of the population - could be affected by proposed cuts to A&E departments the British Medical Association warned, adding that the changes were being rushed through without the evidence they will work. Under the so-called "sustainability and transformation programme" (STP), England has been divided into 44 areas and each asked to come up with its own proposals. 150 new jobs had been created to run them, at a cost of £8.5m a year. Another £1m was being spent on agency staff and consultants, the BMA said. The STP process was launched at the start of 2016 with a view to identifying some of the £22bn of savings that are needed by 2020. As the STP areas cover quite wider geographies with several hospitals, a cut may not mean everyone sees their nearest hospital affected. It could, for example, have an impact on the hospital in the next county or town. But the BMA argues everyone will be affected as a closure in one part of the area means a knock-on for other sites in the patch. The Royal Navy has unveiled a new £3bn floating fortress with a length of three football pitches! ship ever built in Britain ... it will help keep us safe for decades to come' (Metro / 27-6-17). spared and no corners cut. The SOYMB blog notes that there is no public servant 1% cap on pay increases when it comes to the queen. The Queen is to receive an 8% increase in her income, up more than £6m. 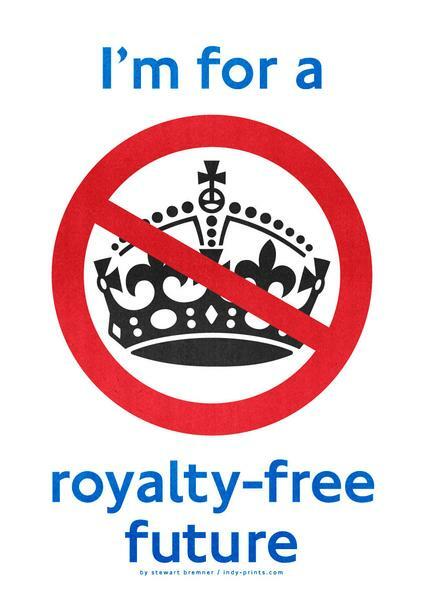 The Royal Family stand for the possessions, rights, and privileges of the British ruling class. The Socialist Party is, of course, anti-monarchist and opposed to everything the monarchy represents, from aristocratic privilege, bowing and scraping, silly titles and ceremonies to being little more than commercial travellers (as Price Andrew regularly proves to be, a salesman for Britain PLC) and the symbol and head of the British capitalist state. It goes without saying that, if it hadn’t already disappeared by then, one of the first acts of a socialist majority in control of political power would be to abolish the monarchy as part of the democratisation of society. Meanwhile, capitalism grinds merrily on, providing a fat living for a few of its people and condemning the rest to dull poverty. May needs to shore up her government at a cost of £1.5bn. Whilst they both share the helm. and first leader, the Rev. Ian Paisley in 1977.
in the European Court of Human Rights 1982. Does it matter whether some individual rising above the $1.90 poverty line achieves a new income level of $2.15 or of $5.50? Government statistics show that the share of the population below the national poverty line fell from 45 per cent in 1993 to 37 per cent in 2004 and further to 22 per cent by 2011. Since the country’s economy was growing fast during this period, it seemed easy to connect the two things and claim that it was national economic growth that had caused the observed rapid reduction in poverty. India’s poverty line at the time of writing is still among some of the lowest in the world, set at a level lower even than the one applied by some of the least-developed countries. The claim, however, about rapid poverty reduction has been advanced on the basis of this penurious definition. If one were to work, instead, with the median developing country poverty line of $3.10/day—a more appropriate standard, given India’s present circumstances—the extent of poverty reduction is decidedly smaller. Between 1993 and 2009, a period of rapid national growth, the share of the population below the $3.10 poverty line fell by less than half as much as the share below the low national poverty level. The total number of $3.10-poor people increased over the same period. Among all countries, India has the largest number of $3.10-poor people. Nearly 60 per cent of the country’s population, and more than 70 per cent of rural India, were poor by this definition in 2015. For many who depend upon agriculture, the vicissitudes of the seasons add another source of risk and fluctuation. No particular month’s income (or expenditure) provides an accurate reflection of such a family’s usual circumstances. If calculations of monthly expenditures are made right after the harvest, then one gets one set of poverty numbers, but if these calculations are made, instead, in the months of the monsoon, the hardest time of the year, when money and food supplies are both running low and there are many diseases, then a much larger number of households will be found in poverty. India, together with other developing countries, has a large number of people who experience wide fluctuations in their economic circumstances. Many among them cycle in and out of poverty, never quite escaping its clutches. The numbers of these people are not separately counted by official agencies, and because their existence is not recognized, no particular assistance has been provided. Smaller-scale studies have helped cover this important gap in poverty knowledge. Undertaken in different parts of India, these studies show that between 55 and 88 per cent of all households had experienced poverty for the entire year or for shorter periods. These numbers are much larger than the official poverty estimate, and in many ways, they more accurately reflect the everyday lives of poorer people. Between one-third and one-half of all poor people were not born to poverty, the results show; these people have become poor within their lifetimes. Focus on the aggregate number, upon quantity rather than quality, has led to two kinds of tunnel vision. Officials assess poverty in terms of the share of the poor in the total population. But neither do they pay heed to how many people actually escaped poverty or how many fell into poverty nor are they usually concerned with how high above the poverty line different individuals have ascended. Official statistics do not help distinguish between the number of poverty escapes that were of a marginal kind (a rise from $1.90 to $2.15) and how many others moved far beyond the zone of poverty (say, to the $5.50 level). In the official count, every escape from poverty is totted up as a success, even those that are marginal and temporary. The blockade dictates the day-to-day reality for people in Gaza, where Israel controls the borders, airspace, and waters. Gaza's isolation has devastated its economy, impoverished much of the Strip's two million people, and left them without adequate electricity, water and health services. Poverty contributes to poor health, and poor health leads to poverty - it's a vicious cycle. In Gaza, poverty is rife. At 41.1 percent, the unemployment rate is the highest in the world (youth unemployment is just shy of 64 percent), over a fifth of the population lives in "deep poverty", and 80 percent of the population depends on international aid, primarily for food assistance. The executive director, Dr Adnan al-Wahaidi, Ard el Insan (AEI), a local NGO, says cases of acute malnutrition with signs of severe wasting among young children in Gaza are increasing.But the real public health concern is chronic malnutrition, characterised by stunting and rickets, says Wahaidi, who has seen rates increase by about 50 percent over the past decade among children aged five years and younger, rising from nine percent to 13.4 percent of the population. Chronic malnutrition during formative years can lead to irreversible consequences and side effects that will affect the body's physiological systems, including the immune system, as well as cognitive achievements and physical development. Gaza is witnessing other worrying trends - rising rates in younger age groups of non-communicable diseases such as cardiovascular disease, type 1 diabetes, and cancers. He says obesity among children is rising sharply as more families rely on cheap, high-caloric foods because they cannot afford basic, nutrient-rich foods. The blockade and three Israeli military assaults have had a profound toll on mental health in Gaza, too. Substance abuse, suicide, domestic violence, depression, anxiety and post-traumatic stress disorder (PSTD) have increased among adults, as have bed-wetting, low academic achievement, nightmares, fear and anxiety among children, according to Dr Sami Oweida, a psychiatric consultant at the Gaza Community Mental Health Programme (GCMHP). He also notes a rise in somatoform disorders - a form of mental illness in which a patient complains of physical ailments, including pain and fatigue that have no apparent physical cause. According to a recent study published in PLOS ONE, a multidisciplinary research journal, Palestinians suffer the highest rates of mental disorders among all Eastern Mediterranean countries. The study attributes this to 50 years of occupation and exposure to related political violence. Dr Oweida says that work the GCMHP undertakes at their centre, coupled with outreach and capacity-building work with local partners, cannot keep pace with the demand. "Any effective therapy is pointless because of the blockade - that is the root cause. The high levels of unemployment, especially among men, the traditional head of the family who can't protect the family and secure its basic needs - that creates anger and frustration ... and is often expressed through violence in the home," he told Al Jazeera. "People see no reason for optimism - they are trapped in a large prison. There is no horizon, no political solutions. The people anticipate a new military assault, it is always on their minds. There are constant reminders of provocation, through drones, sirens, destroyed buildings ... It creates high levels of anxiety in everyone. Nothing will help, except ending the blockade and giving dignity back to the people." Life for the people of Gaza has become characterised by soaring unemployment, acute fuel shortages, electricity supply for a couple of hours a day, a crippled water and sanitation system, prison-like movement restrictions, and the ever-looming threat of full-scale Israeli aggression on the horizon. Given the current local and international political landscape, conditions seem likely to deteriorate further, compounding adverse conditions for health and pushing a basic and fragile health system ever closer to collapse. Following the shutdown of the Strip's only power plant after it ran out of fuel, Gaza's 14 public hospitals and 16 health facilities now "face partial or complete closure of essential services", according to the World Health Organization (WHO). Gaza's hospitals, operating on a limited reserve of emergency fuel, donated most recently by the United Nations, have partially closed a number of services to cope with the fuel shortage. With Israel and the West Bank-based Palestinian Authority (PA) unwilling to supply more electricity or fuel, Gaza's hospitals and health clinics will be forced to stop critical services - this will be immediately life-threatening for newborns in critical care, patients in intensive care units (ICU), and hundreds of haemodialysis patients. It could also compromise refrigerated blood and vaccine stocks. United Nations Humanitarian Coordinator for the occupied Palestinian territories Robert Piper expressed urgent concern about steps by the PA and Israeli authorities to further reduce energy supplies to Gaza, warning that if implemented, the situation would become catastrophic. "A further increase in the length of blackouts is likely to lead to a total collapse of basic services, including critical functions in the health, water and sanitation sectors," he said. According to a 2016 WHO report, "nearly 50 percent of Gaza Strip's medical equipment is outdated and the average wait for spare parts is approximately six months"
Hammam Alyazji - 35 - marketing specialist, explains, "There is no future here, no work and no life. We don't have even the most basic necessities in life, which many people do not even think about, such as electricity.Freedom of movement, electricity, and open borders are a luxury to us. I think in the past 10 years, Gaza has been pushed back by 50 years. The energy of the youth is going to waste." The BIS, which is sometimes known as the central bank for central banks and counts Bank of England Governor Mark Carney among its members, warned of trouble ahead for the world economy. It predicted that central banks would be forced to raise interest rates after years of record lows in order to combat inflation which will “smother” growth. The group also warned about the threat poised by rising debt in countries like China and the rise in protectionism such as in the USA. Chinese corporate debt has almost doubled since 2007, now reaching 166 per cent of GDP, while household debt rose to 44 per cent of GDP last year. Moody's cut China's credit rating for the first time since 1989 from A1 to Aa3 which could potentially raise the cost of borrowing for the Chinese government. The BIS’s credit-to-GDP gap indicator also showed debt, which is seen as an “early warning indicator” for a country’s banking system, is rising far faster than growth in other Asian economies such as Thailand and Hong Kong. Deloitte Access Economics calculated that the Great Barrier Reef in Australia is worth A$56bn (£33bn; $42bn), a value 12 times greater than the Sydney Opera House. The Great Barrier Reef Foundation, a charity dedicated to protecting the World Heritage-listed natural feature commented, "the Great Barrier Reef is justifiably considered priceless and irreplaceable." Mass coral bleaching in consecutive years damaged two-thirds of the reef, according to surveys. 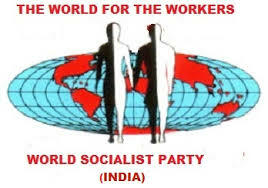 The Socialist Party of Great Britain is not the keeper of some Marxian "Holy Grail". Many of the ideas that are central to our position are in fact shared by others . We address our case to the working class of the world as a whole, rather than any particular interest group or the left-wing's supposed "advanced” sections. How do we move from just protest and resistance to actually figuring out how we actually reorganise society is a central question to be talked about. The word “revolution” gets thrown around so much, we really have to be clear on what we mean when we talk about a revolution and to be equally clear on the means to strive for revolution. We need a clear vision for how to go about achieving a new society. Too often people are stuck in a reactive phase because there is so much urgent immediate events happening has to be addressed, but now a lot more people are the question about "How do we actually move beyond defensive struggles and really start figuring out what we're fighting for and what sort of strategy is required to get there?" We definitely need more discussion on that. We cannot permit populist political campaigns to keep on polarising people according to nationality, gender or sexual orientation, nor skin colour. Our debates should focus on the strengths of the workers' movements but also their limitations so that we can challenge capitalism and win political power to make the decisions and not just be on the outside looking in, simply protesting. It is exciting to see, even in the midst of all the tragedies, that people are finding creative ways to come together and fight. There is much resilience in working class and it helps to remember that we always have to keep resisting. We should create mass popular social movements which maintain a balance of autonomy and unity so that we can grow in a non-hierarchical way, guided by an agreed set of socialist principles. The Lothian Socialist Discussion group, just like LSD, is aimed at expanding your consciousness – your class consciousness. According to reports victims of the Grenfell Tower fire will be rehoused in a development where some apartments sell for £8.5 million. 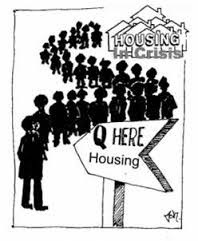 It takes the destruction of where people live for them to have the opportunity to live in far superior homes. In a sane world there would only one standard -- the best that we could possibly make. A world where we produce the best goods and services because they are needed -- not for profit. Low levels of reduced income mobility in New Zealand mean people in rich families tended stay rich and those in poor families stay poor. The rising cost of houses had kept many people out of home ownership between 2001 and 2013. The worst affected age group was 30 to 44. Derek Gill, principal economist at NZIER said, "The data tells us that our current level of income inequality is actually the same as it was in the 1930s and 1940s." Fairly traded or fairly treated? Sainsbury’s executives met farmers from some of Africa’s biggest tea-growing co-operatives in a hotel in Nairobi last month where the world’s largest retailer of Fairtrade products precipitated the greatest crisis in the scheme’s 25-year history by telling the 13 major tea groups and their 228,000 co-operative members that it intended to drop the globally known Fairtrade mark for their produce, and replace it with the phrase “fairly traded”. Iit is now feared that bananas, sugar, chocolate and dozens of other Fairtrade lines sold in the company’s 2,100 stores will eventually be withdrawn from Fairtrade as the company rolls out its own ethical trading scheme. In place of the strict rules devised by farmers’ groups working with independent development experts to guarantee consumers that small-scale farmers are being rewarded with decent pay and bonuses, the £23bn-a-year retailer said it planned to set up its own in-house certification scheme, set new ethical standards and introduce a different way to pay the groups. The farmers at the meeting with Sainsbury’s, mostly from Malawi, Rwanda, and Kenya, were nonplussed. “Why change a system that has worked well for 25 years for both poor farmers and large supermarkets?” asked one. Had not the supermarket reaped tens of millions of pounds’ profit and huge moral kudos by pioneering Fairtrade and inviting customers to pay a bit more for their produce? Sainsbury’s is just one of many large food and drink companies rethinking their supply chains, looking to cut costs and devising their own environmental and labour policies. Because Sainsbury’s is so important for Fairtrade, the company’s move could be the beginning of the end of the scheme, and lead to lower social and labour standards, more hardship in developing countries and deep confusion among consumers, say some development and ethical trading groups. “This move by Sainsbury’s represents a tip in the balance back to the powerful retailers,” says Sophi Tranchell, managing director of Divine Chocolate, the highly successful ethical trading company part-owned by tens of thousands of cocoa farmers in Ghana. To add to the woes of the Fairtrade brand, it was revealed last week that Tesco will move all its own-label coffee from Fairtrade to another ethical certification scheme, the Rainforest Alliance and it follows a similar announcement by the retailer earlier this year that it will do the same with its own-brand tea. The fractious Nairobi meeting made clear the despair felt by small farmers at the global trading system, in which supermarkets and shippers make big profits from importing raw produce from developing countries but barely anything goes to the farmers. Oxfam, Cafod, Christian Aid, the Women’s Institute and several major ethical trading and co-operative groups together representing millions of consumers, urged it to rethink its plans. “We feel that our rights are being taken away from us, this feels like colonialism,” said one man at the meeting. “We want to be partners and friends. You want to control me," said another. Sales of Fairtrade products are said to be slipping and the company feels it is not getting value for the £60m which it says it has “invested” in ethical trading since 1994. Although it sells nearly £200m of Fairtrade produce a year, overall company profits dropped 8% last year and in a fierce retail environment it now wants more credit for investing in poor farmers. Low wages, freezes to benefits and rising costs of renting could cause more than 1 million households ( including 375,000 with at least one person in work) to become homeless by 2020. It estimates that 211,000 households in which no one works because of disability could be forced to go. Once again the British government prefers to turn a blind eye to the realities of its support for a belligerent Saudi Arabia. Yemen is now facing the worst cholera outbreak anywhere in the world, the United Nations has warned. A statement by Unicef and the World Health Organization says the number of suspected cholera cases in the war-torn country has exceeded 200,000. So far more than 1,300 people have died - one-quarter of them children - with the death toll expected to rise. "We are now facing the worst cholera outbreak in the world," the statement says. "In just two months, cholera has spread to almost every governorate of this war-torn country." It says there are an estimated 5,000 new cases every day. Hospitals are overcrowded and severe food shortages have led to widespread malnutrition, making Yemenis - especially children - even more vulnerable to cholera. DEM OLE LIB DEM BLUES! The richer are getting richer. Common-sense only comes with common ownership.